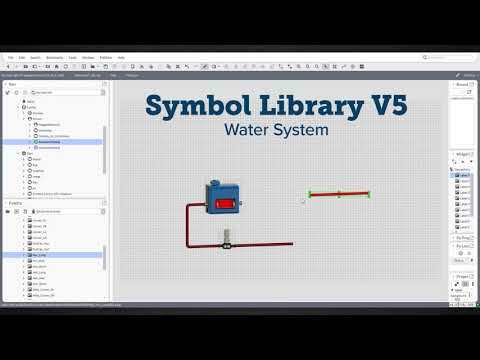 The Symbol Library v5 includes a variety of graphics & animations needed to construct BAS systems & HVAC graphics. A competitive advantage in the BAS industry, delivering more appealing and realistic graphics than typically provided with BAS software. - Module for clients using Niagara N4 software to easily substitute N4’s existing graphic file. QA Graphics is the industry leader in developing building automation system graphics. We provide models for buildings and any type of HVAC graphics or MEP equipment, along with a variety of animations. QA Graphics has created a new module to offer their clients using Tridium Niagara N4’s software. This tool is an extension update of their existing Symbol Library v5 that will easily substitute N4’s existing graphic file. This symbol library module will effortlessly integrate within the software, allowing N4 users to implement QA Graphics’ extensive Symbol Library. This module is free of charge to whoever owns a Symbol Library v5. QA Graphics is also including free updates for life of the v5 Symbol Library of new and added graphics as they are rolled out when you purchase a v5 library in 2018. Specialization: QA Graphics has created a new module to offer their clients using Tridium Niagara N4’s software. This tool is an extension update of their existing Symbol Library v5 that will easily substitute N4’s existing graphic file. This symbol library module will effortlessly integrate within the software, allowing N4 users to implement QA Graphics’ extensive Symbol Library. 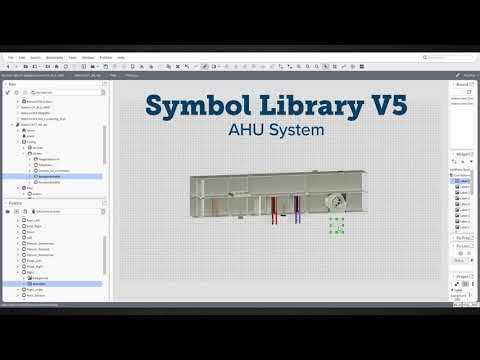 This module is free of charge to whomever owns a Symbol Library v5. About this Provider: QA Graphics is the industry leader in developing building automation system graphics. We provide models for buildings and any type of HVAC graphics or MEP equipment, along with a variety of animations. Our 3D design specialists can transform your photos, existing graphics, schematic designs or ideas into incredible 3D graphic representations, including 3D HVAC graphics and equipment and stock images. QA Graphics has also developed numerous symbol library sets for the BAS industry . We offer custom symbol library development in addition to our standard sets which are compatible with 95% of all major mechanical systems. For a more customized user experience, QA Graphics provides stunning user interface design for stand alone applications and single page dashboard views. These tools give an at-a-glance view of control systems for high-level monitoring. From concept to deliverable, we provide end-to-end solutions for all your BAS design needs. Professional high-end graphics for BAS hat are easily scalable for a mobile device.